I am just loving the gypsy/boho style! It is so pretty and the lose clothing is cool and forgiving. 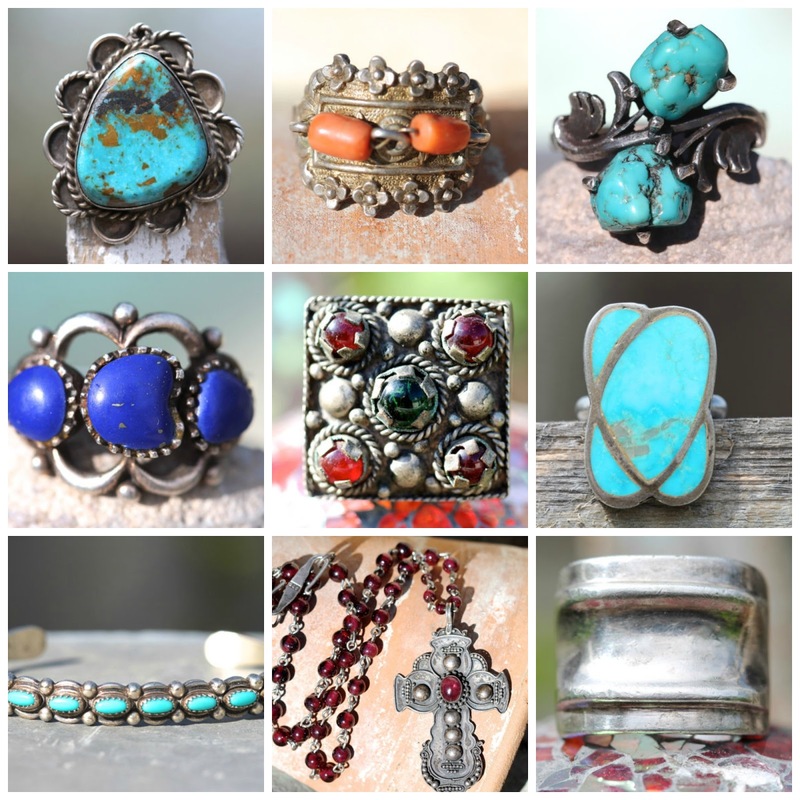 It is great to be able to wear a entire collection of jewelry at once-on your fingers, arms, around your neck, your waist and even your boots. Here is a collection of fresh finds recently listed in my Etsy shop.